Senator Chris Murphy has led a 14-hour filibuster to call for action to end gun violence in the wake of the Orlando nightclub attack. Murphy convinced Republicans to hold a vote to expand background checks and ban gun sales to suspected terrorists. Murphy 's emotional Senate filibuster became one of the longest in US history, starting at 11:21am Wednesday and finishing at 2:11am on Thursday. By Senate rules he had to remain at his desk to keep control of the floor. The 42-year-old said he was prepared to speak “for as long as I can” about the need to prevent gun violence. His peers gave instant updates on Twitter using the hashtag "#enough" – with Murphy’s actions winning him an army of supporters across the country. 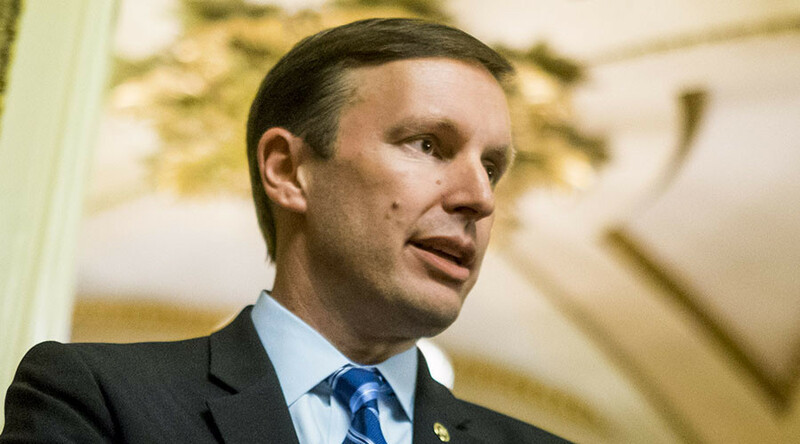 “I am proud to announce that after 14+ hours on the floor, we will have a vote on closing the terror gap & universal background checks,” Murphy, a senator from Connecticut, tweeted early Thursday morning, adding that there have been more than 6,000 gun deaths in America so far this year. — Chris Murphy (@ChrisMurphyCT) 16 июня 2016 г. Senator Murphy is calling for legislation that would enable the US government to ban sales of guns and explosives to people implicated in suspected terrorist activity. This follows the attack on a gay club in Orlando, Florida, where gunman Omar Mateen killed 49 people. However, Senator Murphy, the father of two boys, mostly dedicated his filibuster to the school shooting at Newtown, Connecticut, in which a 20-year-old gunman shot and killed 20 children and six staff members at Sandy Hook Elementary School. Thank you #Senate, #Enough is enough. But I think we need more than this. But this is a start. Let's see how far this goes. Almost four years after the tragedy, Murphy said he still cannot look into the eyes of those children's relatives and tell them that nothing has been done since the massacre. "For those of us that represent Connecticut, the failure of this body to do anything, anything at all in the face of that continued slaughter isn't just painful to us, it's unconscionable," Murphy said, according to AP. Murphy has long called to end the culture of violence in America. In 2013 he lashed out at the National Rifle Association (NRA), demanding reclassification of its new shooting game, labeled as appropriate for kids as young as four. “The NRA seems intent on continuing to insult the families of the victims of Sandy Hook,” the Connecticut senator said in a statement. “How could they think it was a good idea to use the one month anniversary of the tragedy at Sandy Hook to release a game that teaches four year olds to shoot assault weapons?” he added. The US Congress last made significant changes to federal gun laws back in 2007, when it passed a law to step up the instant background check system. The move came after it became clear that a gunman at Virginia Tech who killed 32 people in April 2007 managed to purchase weapons simply because his mental health history was not in the instant background check database. In December last year, the Republican Senate voted against two gun control proposals put forward by Democrats following the San Bernardino shooting, during which an extremist couple killed 14 people. One of the proposals was designed to expand background checks for guns purchased online, the other – to prevent suspects on the Homeland Security terror watchlist from purchasing firearms.